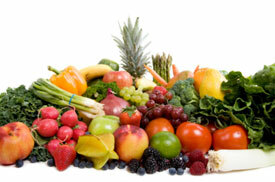 Antiaging food involves daily nutrition to slow the aging process. The nutrients in your food which are nature made vitamins, are the key to a heart healthy diet plan and keeping blood sugar levels normal. By basing your diet around the right foods, you can put your antiaging nutrition on autopilot, and slow, stop, or even reverse some aspects of the aging process! Although an anti-aging nutrition supplements can be very effective, your food should be your main source of nutrients and calories. poor nutrition can actually accelerate the aging process! By choosing foods containing antioxidants and properly timing your meals, you can actually help your body slow down the aging process. Below are listed the main factors that are important to consider for daily nutrition. Testing systems like blood and metabolic typing are tools to help determine what to eat for optimal health based on your biochemical individuality. They are used to determine both the antiaging food that is compatible with your blood type, and the ratio of proteins, fats, and carbohydrates you need to function optimally. The glycemic index deals with blood sugar response to the foods you eat. It is an index that tells us how fast a particular food raises blood sugar levels. Rapid blood sugar increases in turn cause insulin increases and thus are best avoided. Adding things like beta glucans to your diet can help keep blood sugar levels normal. Applying this knowledge of the glycemic index to the foods you eat allows us to maintain a stable blood sugar level throughout the day. This is a key component of a longevity and antiaging diet; as the lower your average insulin levels the longer you will live. Knowing the nutrient content of foods, helps ensure you are getting the quality nutrition the body needs to function optimally and maintain health for as long as possible. The issues about antiaging and food, mainly concern food sensitivities or allergies that can increase inflammation and blood sugar count, which accelerate the aging process. Nature made vitamins - the nutrient and antioxidant content of foods help control the physiological processes of aging, like as oxidative stress, cardiovascular health, and blood sugar levels. The effects of food processing can also alter their nutrient content and thus their value in an antiaging diet. Cooking can sometimes destroy valuable nutrients that are sensitive to heat. Milling can remove B-vitamins and good fiber from grains, rendering them less nutritious and more prone to cause rapid increases in blood sugar. Refined foods have been identified by many health experts as one of the leading causes of chronic illness! Thus for daily nutrition purposes, antiaging foods should be eaten as close to their natural raw state as is safe and practical. Nutritional supplements are used to fill in the gaps with regard to vitamins and minerals that may not be supplied in adequate quantities in your diet. Nutraceuticals and antiaging supplements are used to address specific medical conditions, which are related to the aging process in a way that is similar to drugs, but which is much safer. Aside from nutritional supplementation where needed, antiaging food of high quality and minimal processing remains one of the most powerful ways to ensure an optimal antiaging diet!